Global targets aimed at warding off runaway planetary warming could be breached sooner than expected, experts warned Monday, as gases released by melting permafrost threaten to undermine human efforts to avert climate disaster. Under the current rescue plan, outlined in the 2015 Paris climate treaty, countries have agreed to limit global temperature rises to “well below” two degrees Celsius, and 1.5C if deemed possible. That course of action assumes that dealing with manmade greenhouse gases — whether by slowing their emissions or removing them from the atmosphere — will be enough to bring global warming under control. What climate models do not allow for are scenarios in which Earth begins to contribute to the problem, new research shows. A team of experts from the International Institute for Applied Systems Analysis in Austria said Monday they had for the first time included projected emissions from melting permafrost in global climate change models, and the results prompted concern. “Permafrost carbon release is caused by global warming, and will certainly diminish the budget of CO2 we can emit while staying below a certain level of global warming,” said IIASA research scholar and lead study author Thomas Gasser. As reliance on fossil fuels persists, scientists have calculated that we are likely to “overshoot” the Paris temperature targets in the short to medium term. With only 1C of warming above pre-industrial levels so far, the world’s permafrost is already thawing, albeit slowly. But the rate of that melting is sure to accelerate as Earth continues to heat up. 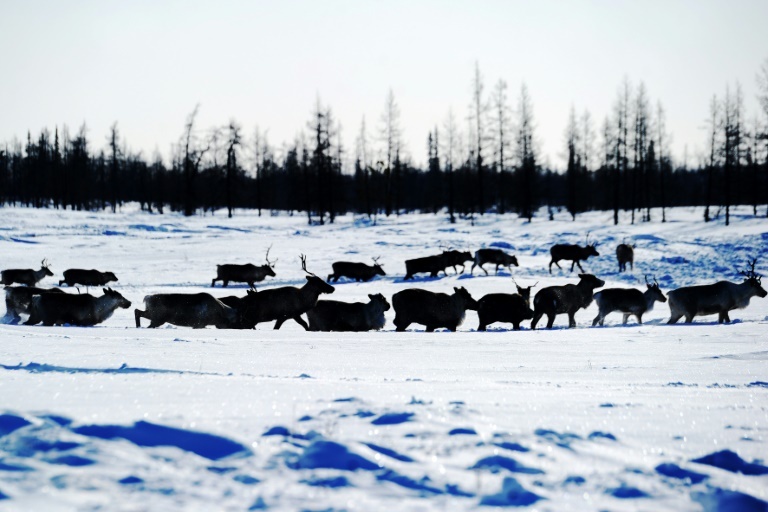 Gasser warned that the overshoot scenario would leave the planet even more vulnerable to permafrost emissions and, in a vicious feedback loop, even more warming. In fact, under some models run in the study, published in the journal Nature Geoscience, we have already missed the 1.5C target as a result of permafrost emissions. “Overshooting is a risky strategy, and getting back to lower levels after overshooting will be extremely difficult,” Gasser told AFP. Methane and CO2 trapped in the frozen wastes of Russia, Canada and northern Europe are roughly equivalent to 15 years of manmade emissions at today’s level. The problem with the Paris goals, according to Gasser, is that they set emissions targets based on the assumption that global temperature and atmospheric CO2 levels change in lock-step. They therefore allow countries to exceed the targets on the condition that enough carbon can be captured from the air to bring temperatures back down by the end of the century. But permafrost is subject to what scientists call a “tipping point”, meaning that beyond a certain temperature threshold, it will continue to melt and release greenhouse gases in a self-perpetuating feedback loop independent of falling emission levels. The models will not have accounted for these additional greenhouse gases, mainly methane and carbon dioxide. “Not even mentioning the debate on whether or not we could capture CO2 on a large enough scale, there is also this risk that the higher we go the higher the risk of triggering something we don’t understand,” Gasser said. As the world struggles to curb manmade carbon pollution that amplifies the likelihood and intensity of deadly superstorms, heatwaves and droughts, Monday’s study will add to fears that Earth itself could overwhelm efforts to limit climate change. Other possible climate tipping points include melting sea ice, which creates seawater that absorbs rather than reflects sunlight, and forest dieback — which would see billions of tonnes of carbon released as CO2-absorbing biomass is lost.